Amidst rumours of a possible switch to Chelsea football club, Atletico Madrid coach, Diego Simeone has come out to set the records straight: he will not be leaving Atletico for Chelsea as recently speculated. Just few days after the sack of Jose Mourinho at Chelsea, rumours made the rounds that certain candidates were being considered for the job at Stamford Bridge and the 45-year-old Argentine featured prominently on that list alongside the likes of Pep Guardiola, Carlo Ancelotti, Guus Hiddink, Juande Ramon. Simeone was even reportedly contacted by the English club to show their intentions of recruiting him. The Atletico Madrid boss has however distanced himself from such speculations. “Why can’t I be here longer?” Simeone questioned in El Pais on Monday when asked about exiting Atlético, in an interview he granted just before Mourinho received his marching orders. “Why did I choose a five-year contract? Because I see a club that is ‘virgin’ and Miguel Ángel [Gil Marín, the chief executive] and Enrique [Cerezo, the president] have the ability to open up new sources to strengthen in. It’s not easy to leave Atlético.” He further quipped, “More than a team we are a family, and we are a real family. Obviously we have internal problems, there are players who get angry and who will get angry because they don’t play. I am the father and the grandfather is a role for Miguel Ángel Gil and Enrique Cerezo. 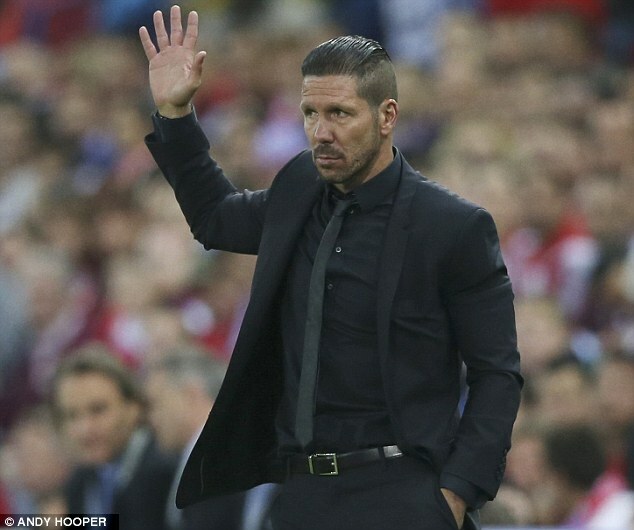 It is not unlikely that Simeone is refusing to consider an offer because of the vulnerability of the job at Chelsea. He has been in charge of Atletico Madrid since December 2011, and Chelsea has had five managers over the same time span. Though the Spanish side are constrained by financial resources like Real Madrid and Barcelona, they have given good account of themselves under Simeone and he is content with the resources at hand. According to the coach, “We have a potential that no one has. Oblak, Giménez, Vietto, Carrasco, Óliver, Koke, Correa, Saúl, Lucas, Thomas… 10 young players and the veterans are at the perfect age”.